Build effectively your muscles and benefit from several exercising possibilities. 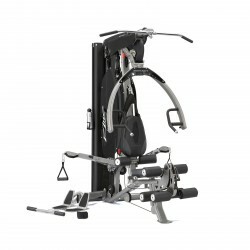 The Horizon Torus 5 multi-gym convinces by variety of exercises, an enormous stability, and high training comfort. 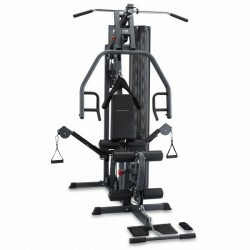 A dip station and leg press are integrated in the Horizon Torus 5 multi-gym. 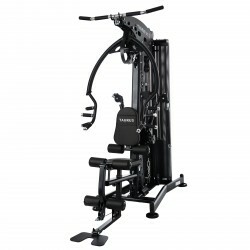 The Torus 5 offers all advantages of a multi-functional home gym. 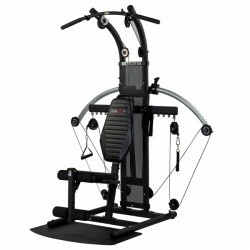 A very nice cable machine, good looking and works fine. Quite simple to mount, and easy to use. One disadvantage is that the butterfly must be unscrewed and fixed each time it is moved. Other similar products have smoother attachment. Another drawback is that you have to move the butterfly when in low position to change the resistance (only for heavier/lower weight plates). 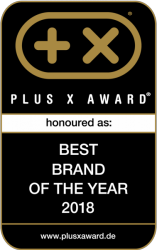 Otherwise I am very satisfied with the product, and would recommend it to others. Multigym Plus was delivered in 4 packages and contained several parts in separate pouches/bags and some basic tools neeed. Building the multigym was easy since all pouches were marked with numbers and referred in instruction sheet. There was although some parts that were labelled with incorrect number, but finding the correct parts was still easy. All bolts, nuts, bits and pieces were separated in groups and numbered based on instruction sheet pages. Building took time about 5 to 6 hours with all finishing touches. Build quality and finishing is very good. As example there is no distinctive weldings and all bolts and nuts are covered with black plastic caps. Coloring of the multigym is all black excluding the Kettler texts. One could wish for some other colors in paddings but this is very minor issue. Multigym was delivered with training manual describing most of the movements that can be performed with the device. Some simple movements were not covered in this manual and as example side cables with grips make it possible to do a wide variaty of movements depending on adjustments and positioning. Multigym does not squeak or rattle during the movements. Fine tuning the main cable tension is easy with separate hand tightened adjustment screw, but tightening the side cable/rope into optimal tension requires few pulls of the rope ith weights and a wrench. Amount of weights is more than sufficient to home use. Kettler Multigym Plus replaces easily many separate one movement devices and fits easily to home due to its compact size. Definitely recommended fitness device! 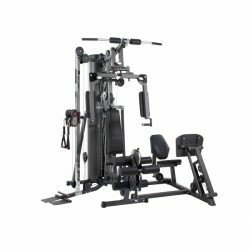 Its a perfect home gym machine for a full body. 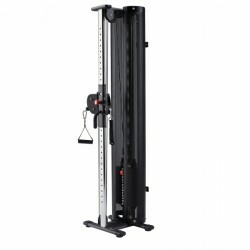 This is a very sturdy piece of equipment and does exactly what it promises. When folded does not take too much space. And for those who wonder this is the TT DLX-III as it says on the box. 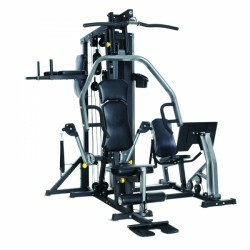 A multi-gym offers complete possibilities of strength training on just one training machine. Do effectively muscle building and increase your strength at the same time - exercise your muscles and achieve quicker your training aims with a multi-gym. What are characteristics of a multi-gym ? 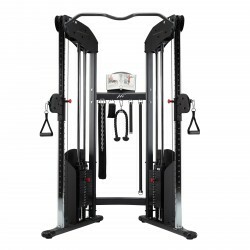 In contrast to chin-up or dip units, where it is mainly exercised with the own body weight, multi-gyms are equipped with an own weight block producing the resistance of your strength training. Single muscle groups can be especially exercised on a multi-gym. 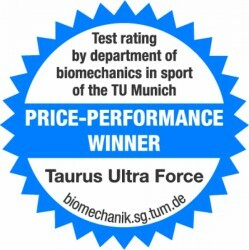 Which advantages does purchasing a multi-functional multi-gym offer ? 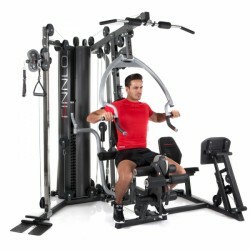 Multi-gyms combine several training machines in one. 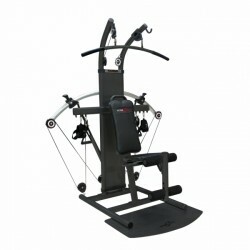 Bench press, lat pull, abdominal muscle training and many other exercises for strength and muscle building are made possible by purchasing a multi-gym. Some strength equipment can even be upgraded by a leg press. 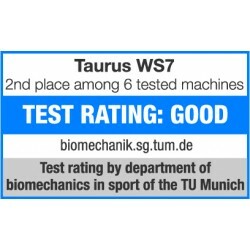 Which multi-gyms are available at T-Fitness ? 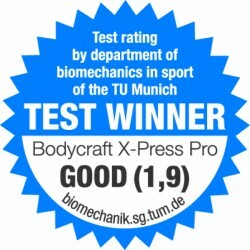 We offer multi-gyms of the renowned manufacturers Taurus, Hoist, Bodycraft, Kettler, and Technogym as well as other manufacturers. Varied accessory and upgrade parts offer the possibility to upgrade these multi-functional multi-gyms as required and adapt them to your individual needs. Please mind these features when you purchase a multi-gym. Furthermore, multi-functional multi-gyms demand a very small space and can be ideally set-up at home. Do easily your strength training at home. Advices about possible strength training exercises can be found in the respective description of the multi-gym. Several varieties of strength training exercises make your strength training more interesting and much more effective.